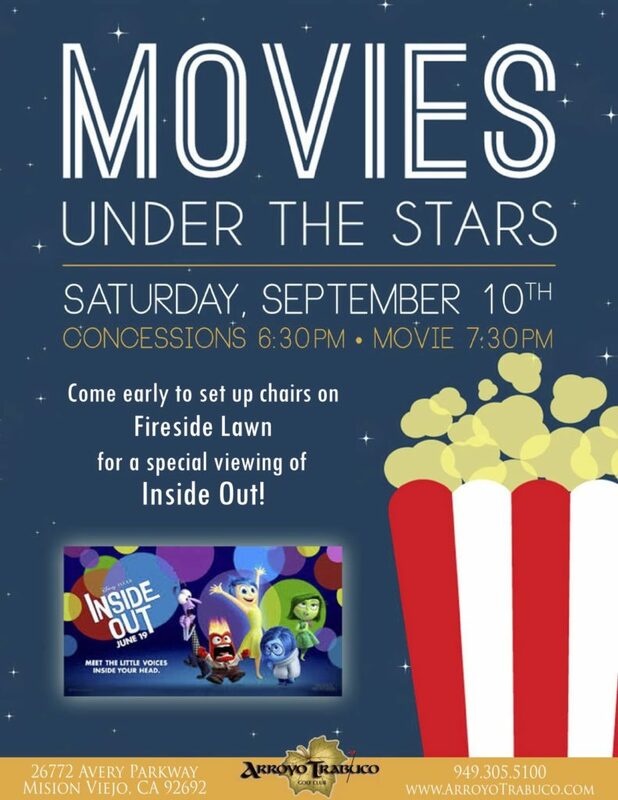 Join us this Saturday on our beautiful Fireside Lawn for a special viewing of the award-winning family-friendly movie Inside Out. Selected as one of the Top 10 Films of the Year by the American Film Institute, the Academy Award winner for Best Animated Feature and nominee for Best Original Screenplay, this lauded film is guaranteed to delight and entertain both children and adults. The Disney Pixar film takes you on a journey from the Inside Out to discover the emotional roller coaster inside your head. Sincere, funny, charming and full of whimsy this movie is also fast-moving and packed with surprises. Bring some chairs and settle in on our Fireside Lawn for snacks, fun, and entertainment under the stars. Posted in Blog, Fireside Patio, Special Events.